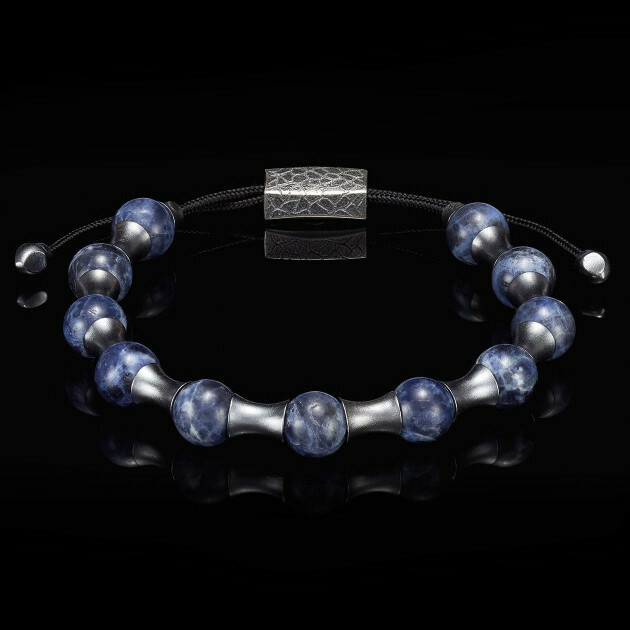 Whether worn solo or stacked with other pieces from the designer, this William Henry bracelet with a beautiful blue hue will be a welcome addition to any man's jewelry collection. A durable paracord capped with sterling silver tips supports 10mm Sodalite beads and gunmetal satin finish precious metal spacers. A fully adjustable spring loaded clasp ensures comfortable closure. This William Henry bracelet is a peak performer!